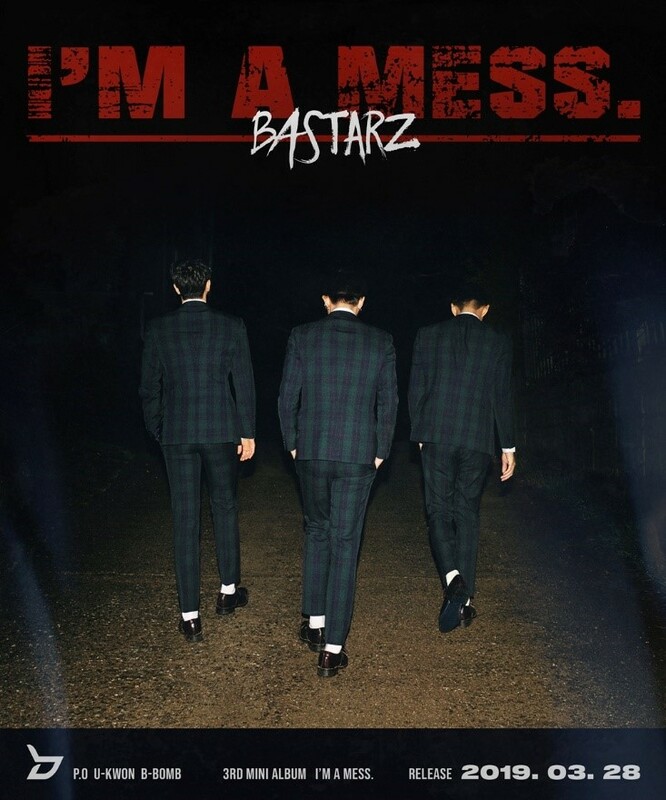 Block B Bastarz is coming back with their third mini album, "I'm a Mess," on this coming 28. The group Block Bastarz is raising expectations of their comeback. Block B Bastarz released a teaser image for their third mini-album "I'm a Mess" on an official SNS channel on 20 afternoon. The members in the released teaser image are wearing a uniform check suit. Their backwardness, which seems to be walking towards somewhere, reveals a unique atmosphere and a unique presence. Especially, the phrase "I'm a Mess. 2019." along with the image is also being released, raising curiosity about concept and new song that will take off the veil. Block B Bastarz's mini-album will be released on 28, and will have a total of eight tracks, with each member's solo tracks as well. The title track was P.O's participation in writing and composing, and the members participated in the music video production as well as the songwriting and composition of the upcoming album. Block B Bastarz predicted a comeback, will release the new song for the first time at the concert "WELCOME 2 BASTARZ", which will be held at Yes24 Live Hall on the 29th and 30th. The album of Block B Bastarz will be released on various music websites on 28, and the album will be released on April 4.